Bred to Snowmass Matrix son! This Female is a show stopper. She is completely covered from head to toe. Even on her back legs. She is very correct. Her fleece looks as if it is corked screwed right into her skin. The luster is phenomenal! 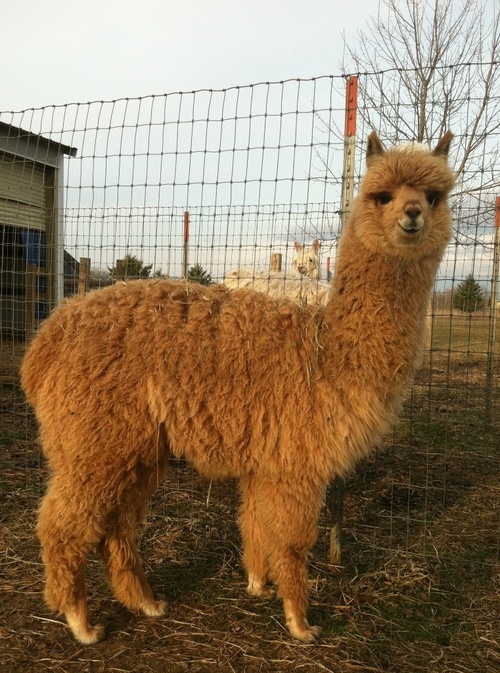 We are trilled with Kluanes beautiful crias. This large boy is handsome, and he knows it! Great staple length, beautiful crimp, and great density! Look at that coverage! SO MUCH FLEECE! This macho has been breeding! 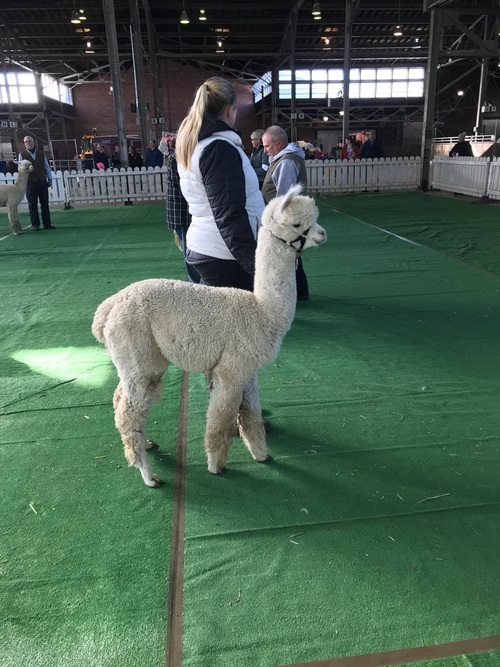 Whitlock is sired by the one and only Snowmass Matrix, and is out of a Reserve Color Champion female. 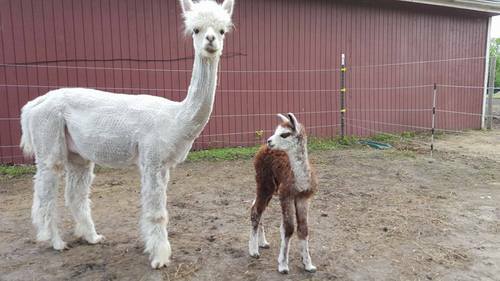 Besides the amazing genetics, he has the potential to throw some color in his cria since his dam comes from a colored background. Add the Snowmass Matrix bloodline to your herd! 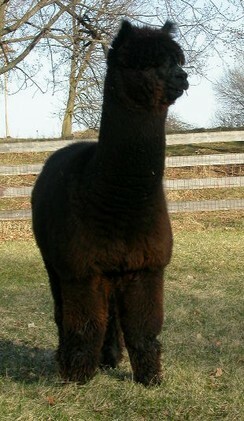 Polonez Peruvian Barcelona aka "Barb" is the daughter of Snowmass Peruvian King Cole a Bay Black herdsire. Barb has proven herself to produce colored crias. 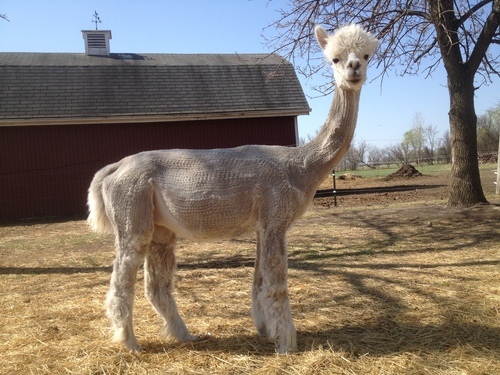 Her 2015 male cria is a dark rose grey with flashy white by a medium rose grey sire, Peruvian TItan. 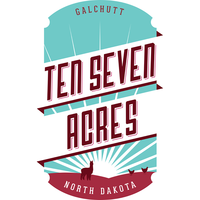 In 2016 she produced a super fine white male by TKAF Peruvian Einstein with 15.1 micron. 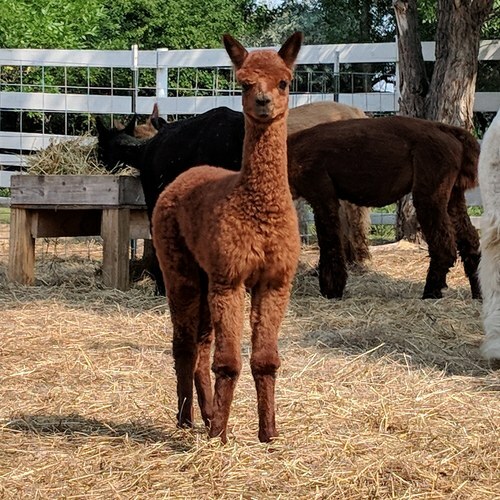 Her 2018 male cria is a gorgeous reddish medium brown. 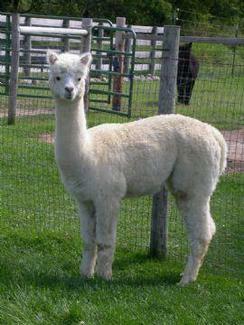 She has wonderful fleece, conformation, is an easy birther, and is a fantastic mother! 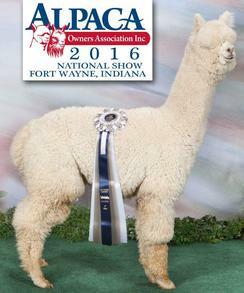 Pedigree includes: Peruvian Bueno, PPPeruvian Royal Fawn, & PPPeruvian Augusto. We look forward to her producing more exceptional crias! 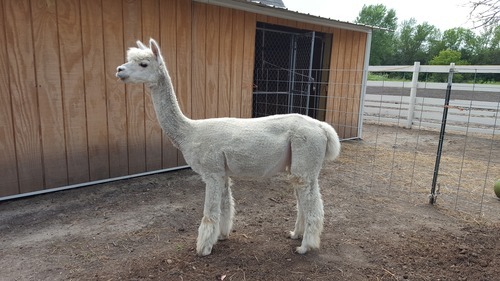 Barb is bred for Sept 2019 to AHRF Peruvian Whitlock, a Snowmass Matrix son, with dense, organized, and buttery fleece! No financing at this time.